Standard 2 Door 3 Drawer Sideboard (Teak Finish), Size/dimension: W47.2" X D17.7" X H35.4"
Size/Dimension: W47.2" x D17.7" x H35.4"
Modern Furniture is extremely light and follow simple rupes of design which are influenced by architectural concepts endured worldwide. Modern furniture looks best in open floor plans with clean lines thus coming off magnificently without any cluster. This Bed contains the standard manual lift storage with which is easy to use. 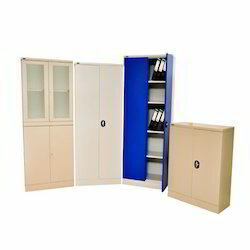 With our years of experience and knowledge in domain, we are offering a large range of Office Cupboards. This Office Almirah is highly recommended amongst the customers for their corrosion resistance and sturdiness. Besides these, the Office Almirah we offer is quality tested and dimensionally accurate. 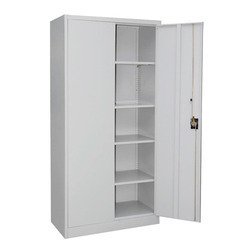 In order to suit the various and precise requirements of our esteemed clients, our enterprise is dedicatedly engaged in providing Office Cupboard in the market.